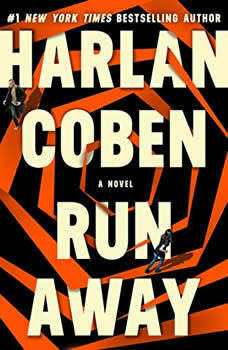 A perfect family is shattered in RUN AWAY, the thriller from the master of domestic suspense, Harlan Coben.You've lost your daughter.She's addicted to drugs and to an abusive boyfriend. And she's made it clear that she doesn't want to be found.Then, by chance, you see her playing guitar in Central Park. But she's not the girl you remember. This woman is living on the edge, frightened, and clearly in trouble.You don't stop to think. You approach her, beg her to come home.She runs. And you do the only thing a parent can do: you follow her into a dark and dangerous world you never knew existed. Before you know it, both your family and your life are on the line. And in order to protect your daughter from the evils of that world, you must face them head on. LK Chapman presents Anything for Him, a must-listen psychological thriller. Author Harlan Coben, was born into a New Jersey Jewish family in 1962, where he eventually graduated from Livingston High School with his childhood friend, Chris Christie, who of course became a prominent politician and the Governor of New Jersey. Coben then went on to study political science at Amherst College where he had a fraternity brother, Dan Brown, who also became a well-known author. It was in his senior year at Amherst that he decided that writing might be the course that he wanted to follow in his career path. Coben became an American author of mysteries and thrillers. His novels revolved around central characters, and involved a reviewing of unsolved or misinterpreted actions such as fatal accidents, and murders with many twists and turns. His most famous character was Myron Bolitar. He has had several books on several best seller lists around the world. He has also received a like number of awards in several different countries. His books of note include: The Stranger, Missing You, Six Years, Stay Close, Live Wire, Caught, Long Lost, Hold Tight, and his latest book that was released on March 22, 2016, Fool Me Once.